This photo was shot from 18th Street near the Union Station MetroLink Station looking east toward the soon-to-be built Scottrade Center. 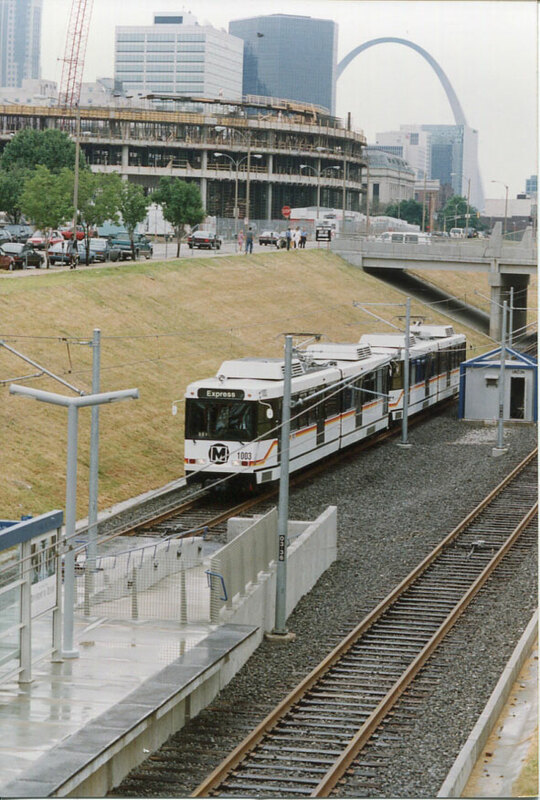 It was taken on July 31, 1993, the day MetroLink first opened for service. At the time, MetroLink operated on one line between the North Hanley MetroLink Station and the 5th & Missouri MetroLink Station. One year later, MetroLink added service to Lambert-St. Louis International Airport and opened the East Riverfront MetroLink Station.